Witten for our Spanish Speaking Truckers. 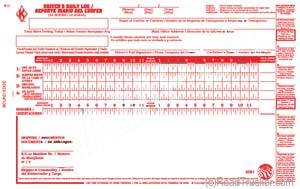 Written in English and Spanish, Bilingual Driver Daily Logbooks have Simplified DVIR on the back. Includes Instructions in English and Spanish Also. Help satisfy the duty status requirements of 49 CFR Section 395.8. The 31-L Monthly log summary comes in 2-ply, with carbon paper. 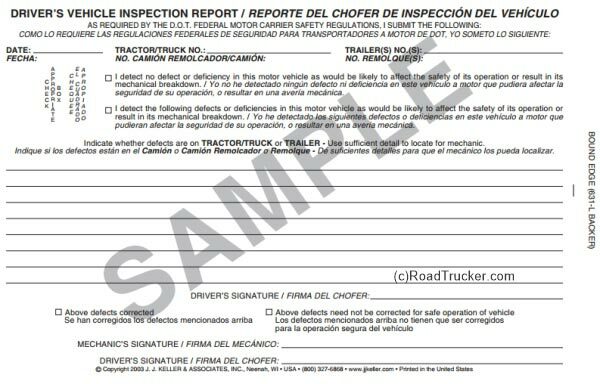 Both DDL, Recap and Simplified VIR are written in Spanish and English.